When it comes to recycling, it’s hard to beat auto plants. Many have zero-waste policies, outgrowths of Japanese-style lean manufacturing policies that dominate the industry these days. Trying to take the idea further, Ford plans to further reduce the amount of waste it sends to landfills by 10% per vehicle by the end of the year. It adds up. Ford says the plan will eliminate about 20 pounds of additional material that would have to be thrown away with every car, and it makes millions of them. Twenty pounds, Ford says, is equal to the weight of a tire. “Reducing waste to landfills is one of our top environmental priorities, and we continue to challenge our teams to identify and implement innovative solutions,” said Andy Hobbs, director of Ford’s Environmental Quality Office, in a statement. Ford says it has diverted about 100 million pounds of waste that otherwise would have gone to landfills in the past five years. 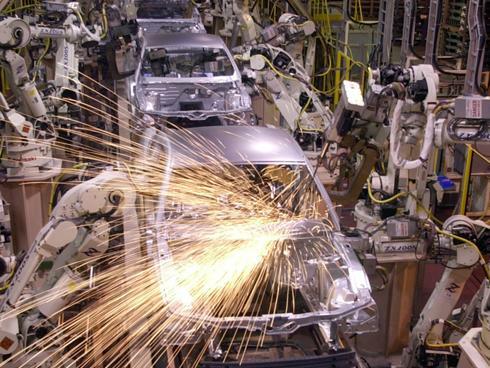 In North America, Ford says the amount of waste generated per vehicle has been cut 47%. In Flat Rock, Mich., home to the Mustang, Ford diverts wasted hardened paint to a power plant, where it is used as fuel for the turbines. The Chicago Stamping Plant has recycled more than 3,000 pounds of plastic. Recyclable materials are collected throughout the plant. Instead of placing these materials in the general trash, they’re placed in designated collection bins. We did a story a few years back on Subaru’s creation of a zero-waste plant in Lafayette, Ind. It was an impressive effort, especially considering the level of detail. But we remember being struck that even though the plant was going to lengths to recycle even minute leftovers, the city of Lafayette, where many of the workers lived, made no attempt at curbside recycling.